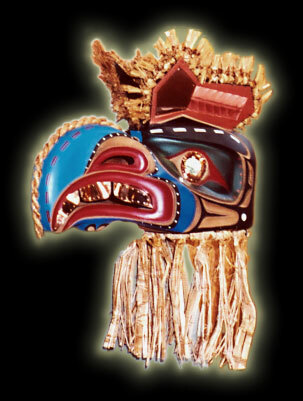 The Kulus mask is a supernatural bird who has the ability to transform into a man. The Kulus lives high in the sky. Some characteristics of the Kolus are his thick, supernaural feathers and his great strength. Height - 36 " I Width - 12 "Depth 26"